I had the opportunity to attend Top Drop Vancouver – both on Thursday afternoon for the session ‘Terroir Mash Up – Home and Away’ at Wildebeest Restaurant and then the main trade event at the Roundhouse Community Centre on Friday. Kurtis Kolt and the team at Top Drop put on an outstanding event – proceeds went to support the B.C. Hospitality Foundation and it was first class. Americana Vineyards – Baco Noir unique 100% stainless steel. Fruit forward. 2014 Double gold. Retails for $15.99. Salami and black cherry notes on the nose. Hermann J Wiemer Vineyards – 2012 Cab Franc Very ripe vintage. Big boy, nice fruit from Magdalena vineyard. Half stainless and half barrel for 15 months. Whole cluster fermentation and open top barrel fermentation. Retails for $25 – hard to get it right but they do – fantastic wine. Wagner Vineyards Estate Winery – 2011 Reserve Pinot Noir 1st winery on east side of the lake. Nice and elegant – only has been made 4 times in a decade. 12 months on oak both French and American. Ann Raffetto – winemaker. 100% estate grown 250 acres of vineyards and grow 20 grape varieties. Lucas Vineyards – 2010 Reserve Cabernet Franc from Cayuga Lake. Started in 1996. Cherry fruit European and American oak $20. Nice tannin. Hybrids pay salary. 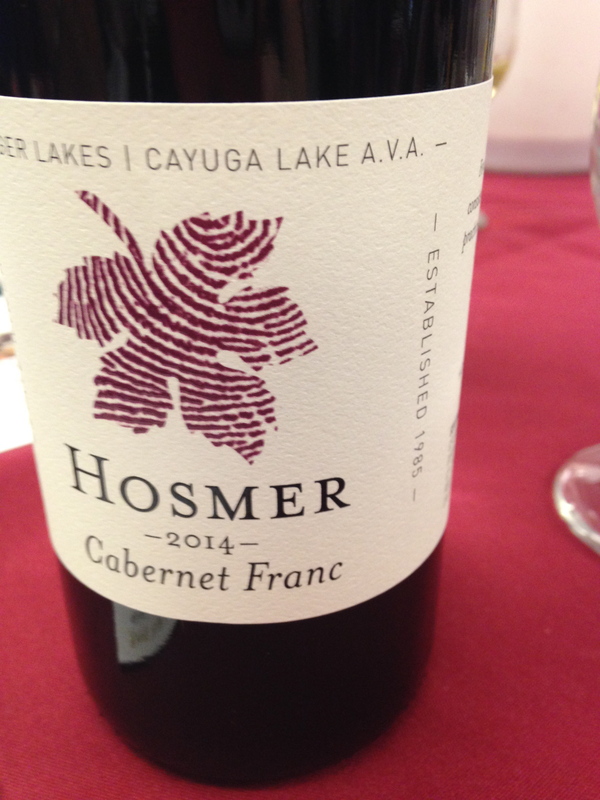 Hosmer Winery – Cabernet Franc 2014. 100% estate grown. Just bottled 3 days ago. Floral and herbs on nose. Nice finish. Quite pretty and feminine. Love the label. Lakewood Vineyards – Cabernet Franc 2013 Won double gold in wine and food classic. Delicious…love it – father and daughter team. Super juicy with great acidity and flavour profile. Heron Hill Winery – Eclipse Red 2013. Blend of Cabernet Franc, Merlot and Cabernet Sauvignon. Great tannin, cherry and spicy notes – this is a tasty red blend that retails for $16.99 USD. 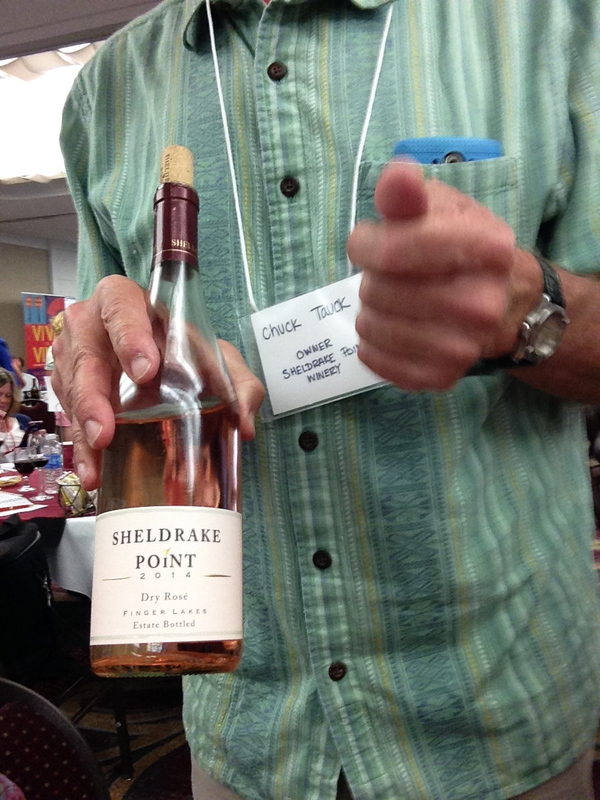 Sheldrake Point Winery Rosé 2014 – located 380 feet above sea level. Rosé is their fastest selling wine. Light watermelon flavour with mouth-watering acidity. Produce 1400 cases and going up to 2100 for next year. Julia – assistant winemaker 24 hour cold soak, free run. Lovely. Dr. K Frank Wines – Cabernet Sauvignon 2012 Big and bold. Raspberry with notes of vanilla and mocha, quite tasty. Great liquorice finish and good length. French and Hungarian oak 2 years bottle aging. Started in 1950’s 800 cases produced $20 price point. Knapp Winery – Dry Rosé 2013 Super light colour – onion skin. Refreshing and bright 85% Cabernet Franc and 15% Pinot Noir. Sells most of their product in NYC 3 grams RS. Another great event and I am already looking forward to next years’ conference in Lodi, California. 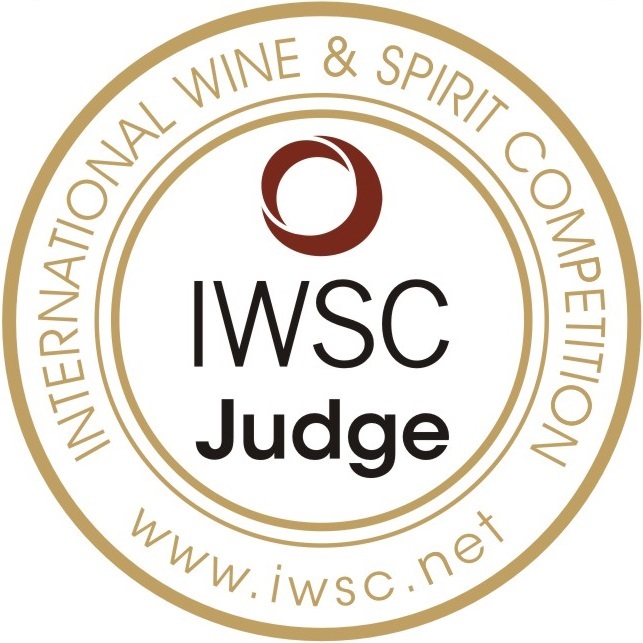 Thank you to all the wineries who participated in the ‘Speed Blogging’ events…I feel it is a great way to experience the wines in a focused environment. That is it for me this week. This afternoon, I will be attending the ‘Colour B.C. VQA Fall Release Tasting’ and then a dinner with the new Encore Vineyards Director of Winemaking, Lawrence Buhler. I am very much looking forward to this and will let you know how it all went next week.